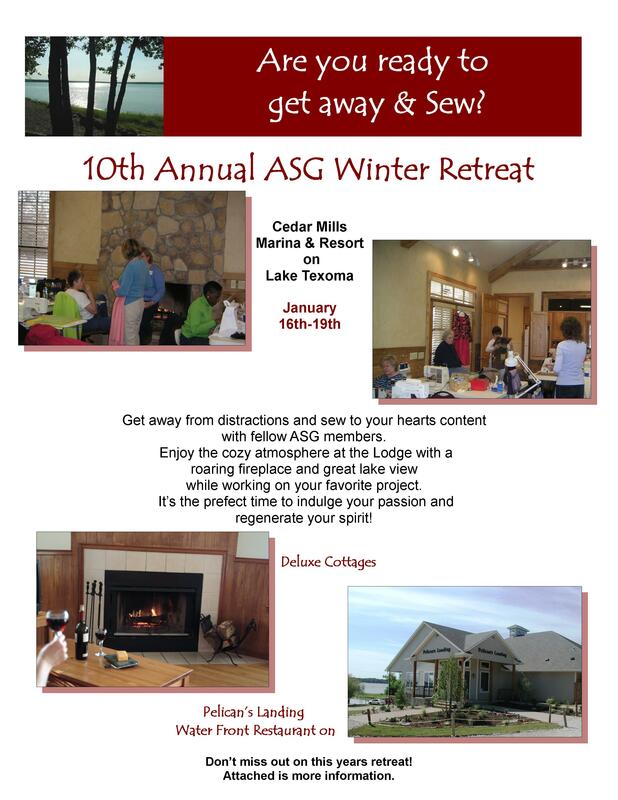 The registration is now open for our annual sewing retreat at Cedar Mills Resort on Lake Texoma. 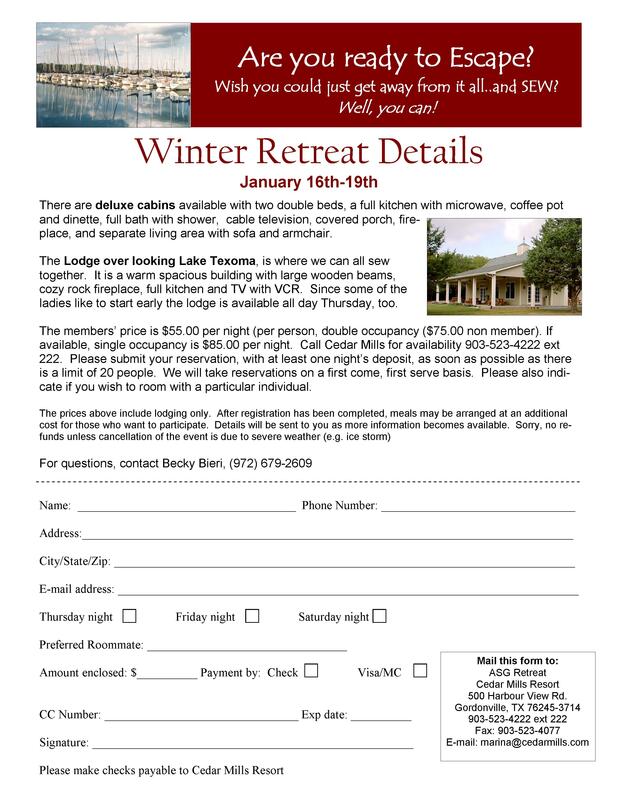 The dates for the 2014 retreat or January 16th to 19th. You can attend all 4 days and stay 3 nights or any combination of days and nights. You can even drive up and spend the day with us. It is a lot of fun and you really get to know people when you spend 2, 3 or even 4 days with them. You can contact me — Bieri Becky, if you have any questions. Please let me know when you sign up so we have a list of those attending.